Clean (by scratching) and wash the mussels with plenty of cold water and you dry them. Inside a pot, you put the chopped onion to be lightly sotted with the olive oil and subsequently you add the white wine. 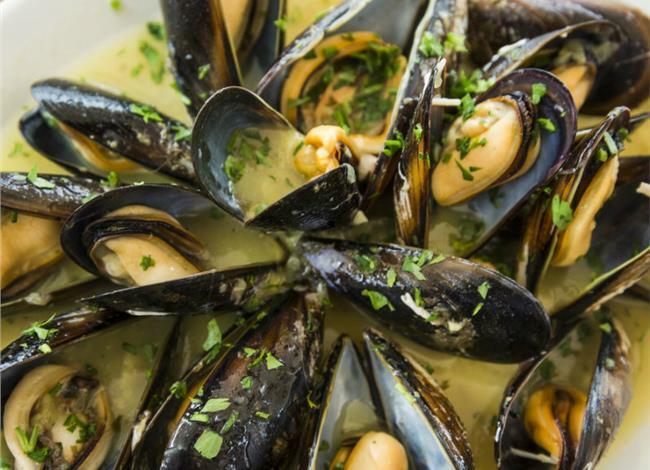 Increase heat and add the mussels, the chopped parsley and the ground pepper. Cover the pot with lid and let it steem for 5 minutes. As soon as all mussels are open you put them in a platter and sprinkle with the broth.